Chiang Mai's nightlife scene is not as famous as other destinations in Thailand such as Bangkok or Koh Phangan, but the city is still at the heart of the tourism industry in Northern Thailand so there are plenty of things to do every night. If you've come to Northern Thailand to party, then Chiang Mai is a popular stop. It's a backpacker mecca that is famous for its cuisine and trekking. During the day many visitors take cooking classes or explore the area's temples. There's also a famous night market in town where you can buy everything from clothing to food or souvenirs. 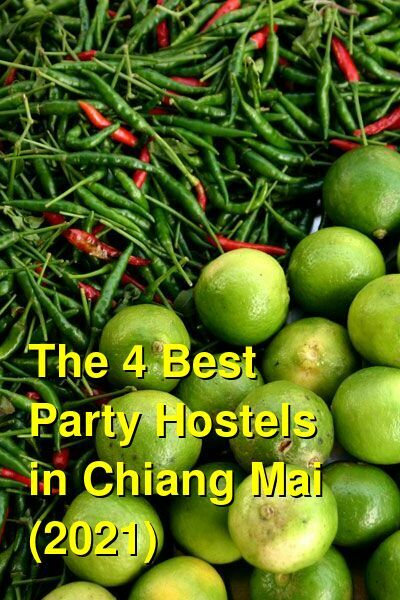 There is no shortage of cheap hostels and guesthouses in Chiang Mai. Most accommodation options also offer three day treks that include elephant rides and river rafting. Some guesthouses require you to book a tour through them if you hope to secure the lowest room rate. You should inquire about these details before you begin negotiating the price of your room. Many of the treks visit the same villages and offer little more than a mass tourism atmosphere. If you're hoping to have a slightly more genuine experience, it's best to do some research in advance and look at a variety of different vendors. Like elsewhere in Thailand, new hostels and guesthouses open regularly and last for only a few short years (if that). The reputations and quality of these places can vary and change over time so long term reviews can be difficult. You can really get the best advice by asking other travelers where they stayed and what they recommend. This offers the most timely advice. Lot's of the area's nightlife is located on Ratvithi Road. This is where you'll find the highest concentration of backpackers hanging out. It's a relatively small area and you can hit most of the bars by walking. Many of Chiang Mai's bars and clubs are all about live music so you can dance late into the night. The city is also famous for its street food, so after the bars and clubs start to close you can grab a late night meal on the cheap. How much do hostels in Chiang Mai cost? Slumber Party Chiang Mai is proud to call itself home of the biggest and baddest party in Thailand. This group of party hostels is the highest rated party hostel group in the world, and they live up to their reputation. To enjoy your stay here you must: be open to meeting people from all cultures and backgrounds, be open to making new friends that could last a lifetime, be ready to make some of the best memories you've ever had. If you are antisocial and are just looking for a bed to sleep in this might not be the place for you. Slumber Party is a party hostel and you should be prepared to see people who are occasionally loud, drunk, and naked. They do not accept bookings from people over the age of 35. The hostel provides: the comfiest beds you'll find in Thailand, an amazing Cafe and Bar with all your Thai and Western favorites, and is located right in the middle of old town, close to nightlife and night markets all over the city, they also host nightly beer pong tournaments and their famous shotgun challenge. Free city maps, Wi-Fi, linen, and towels are included. If you're looking for a hostel in Chiang Mai that's been around for awhile and has a great reputation, then Spicythai Backpackers is probably your best option. It first opened in 2006 and it's since won many awards for its fun atmosphere and traditional backpacker vibe. It's also an excellent value for the price. 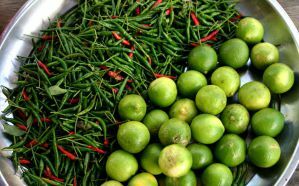 It's one of the few hostels in the area that allow guests to bring their own food and drinks in and there are cooking facilities available if you want to prepare your own food or try out some of the recipes you learned during a cooking class. This hostel was established by experienced travelers with degrees in tourism and a first hand understanding of what guests want. They work hard to make sure the hostel maintains that fun backpackers atmosphere. The hostel has a fun and social environment where it's easy to meet other guests and find groups to explore Chiang Mai with. There are also tour guides available who can help you explore the area or find fun treks that meet your needs. Amenities provided by the hostel include a western style kitchen, a small mini-bar, big screen televisions and a home theater (including an excellent collection of movies and TV shows), shared computers, wi-fi service, and much much more. There's also an on-site cafe where you can order cheap Thai food. The hostel is located in a quiet area in the northwest part of the Old City. It's also just a short walk to many restaurants and sightseeing locations. Guests are friendly and diverse and the common areas are great places to interact and get to know others. The staff works hard to organize trips and activities for guests to enjoy. There are also dining out events that encourage interaction. Sunday Backpackers is in a great location right in the center of Chiang Mai. It is within walking distance to all the main temples and Thapae Gate. The property offers a large range of rooms including private rooms and dormitory style accommodations. There are several common areas where you can relax and get to know fellow travelers. There is also an onsite bar in the reception area for you convenience, which is a great place to meet up with other travelers. The staff here organizes optional activities for some nights including the ladyboy show, boxing, and pub crawls that you can join if you wish. Coffee is offered for free all day. The staff are all locals who are familiar with the area and are happy to give you some of the best tips for tours and activities, and even on where to find the best nightlife in the area. There is an outdoor terrace to enjoy and breakfast, towels, and linens are included in your stay. Deejai Backpackers is a large and lively guesthouse with a vibrant social scene located in a quiet part of Chiang Mai's old city, only 15 minutes' walk from Thapae Gate and the main tourist bars. They also have a new garden complex just 2 minutes' walk from the hostel, complete with a bar, restaurant, pool table, and salt water pool. The garden is open to all backpackers in Chiang Mai and the pool is free for guests to use. The dorm rooms are 4 beds with ensuite, and they also have a range of private rooms to suite to needs of most travelers. The friendly Thai and English speaking staff are more than happy to assist with any information and/or travel arrangements you may need. Free city maps, Wi-Fi, and linens are included.